An Editorial and Commercial Photographer, Paul is based 30 miles west of Cleveland, OH. 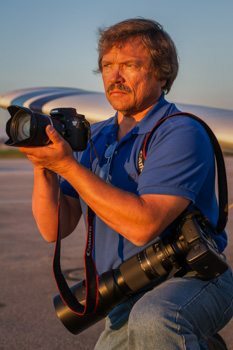 Paul’s lens is typically directed towards Aviation, Marine & Rail Transportation as well as Nature & Wildlife Photography. His work spans a number of market segments including customer assignments, marketing & advertising, books & periodicals, custom prints, and stock photography. When it comes to Aviation, Paul’s keen eye for detail, different points of view and a lifelong love of aviation combine to create his take on the moment ñ from airshows to client assignments on a tarmac. Paul is available for assignments within the United States.